Robotics, artificial intelligence and, in general, any activity involving computer simulation and engineering relies, in a fundamental way, on mathematics. These fields constitute excellent examples of how mathematics can be applied to some area of investigation with enormous success. This, of course, includes embodied oriented approaches in these fields, such as Embodied Artificial Intelligence and Cognitive Robotics. 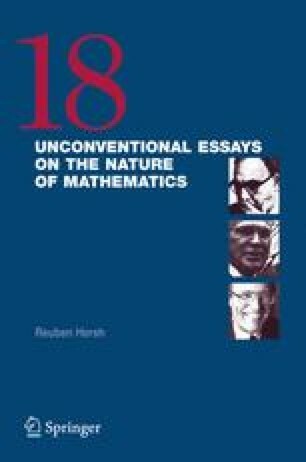 In this chapter, while fully endorsing an embodied oriented approach to cognition, I will address the question of the nature of mathematics itself, that is, mathematics not as an application to some area of investigation, but as a human conceptual system with a precise inferential organization that can be investigated in detail in cognitive science. The main goal of this piece is to show, using techniques in cognitive science such as cognitive semantics and gestures studies, that concepts and human abstraction in general (as it is exemplified in a sublime form by mathematics) is ultimately embodied in nature.